At no other site in the world would you find such an array of tidal energy devices. The newly extended pier has been utilised by five tidal energy developers in recent weeks – Alstom Hydro, ANDRITZ Hydro Hammerfest, OpenHydro, Scotrenewables Tidal Power Ltd, and Voith Hydro – with four devices currently at the quay. In addition, a giant 1000-tonne crane has been assembled on the pier and a number of local companies who are working for the developers have been operating quayside. Beyond the marine renewables activity that is being witnessed, the pier is also benefiting other industries, with cruise liners, offshore supply vessels and the ferry having recently made use of the facilities. At 385 metres, Hatston Pier is now Scotland’s longest commercial deep-water berth. The 160-metre extension was built to provide a major support and logistics base for marine renewable energy industry and was officially opened earlier this year. 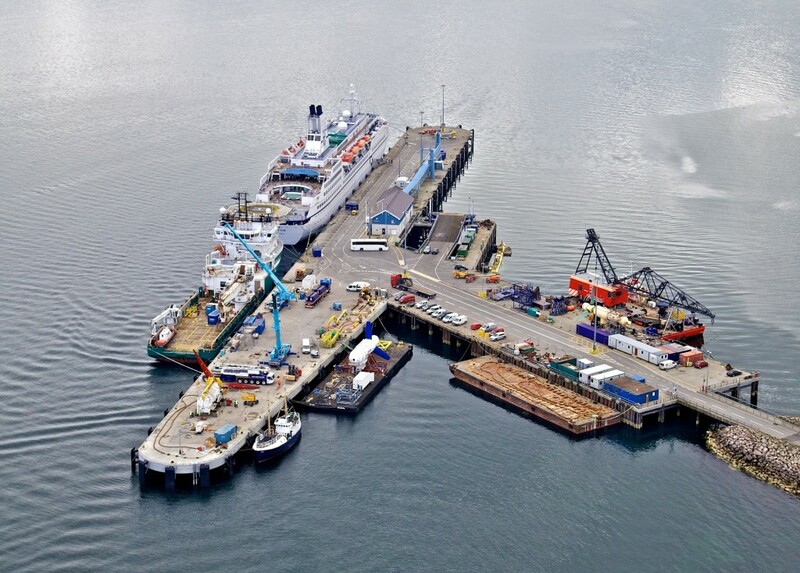 Orkney Islands Council’s £8 million project to extend Hatston Pier on the outskirts of Kirkwall attracted £3.2 million in support from the European Regional Development Fund (ERDF).